PT Perusahaan Pengelola Aset Kapital - PPAK or referred to as "PT PPA Kapital" is a reputable financial services company in Indonesia with core competencies in quasi private equity. 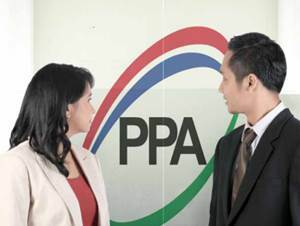 PT PPA Kapital running business in the field of investment management and consulting services. Its business include investment, asset management and investment consultation services. PT PPA Kapital is a directly owned subsidiary company of PT Perusahaan Pengelola Aset (Persero) or known as PPA Persero Group, a reputable state-owned asset management and investment company in Indonesia. At present, PT PPA Kapital is 99.996% owned by PT Perusahaan Pengelola Aset (Persero) and 0.004% by Employee Cooperatives of PPA Persero Group. PT Perusahaan Pengelola Aset Kapital has its legal domicile in Jakarta and was established as a limited liability company in 2011. PT PPA Kapital's head office is registered at Sampoerna Strategic Square North Tower 9th Floor, Jl Jend Sudirman Kav 45-46 Jakarta 12930. According to PT Perusahaan Pengelola Aset (Persero) Annual Report 2015 as cited by JobsCDC.com, PT PPA Kapital booked total assets of Rp 87.98 billion in 2015 as compared with Rp 23.32 billion in 2014. Undergraduate students or fresh graduates (S1) with majors preferably in Finance, Business, or Economy with GPA ≥ 3.50 out of 4.00. Have strong interest in financial and investment industry. Able to work fast and under pressure. Familiar with Business Mathematics, introductory Economics, Financial Accounting, Capital Market, Microeconomics, Business Statistics, Financial Management/ Corporate Finance. Good interpersonal and can do attitude. JobsCDC.com now available on android device. Download now on Google Play here. Please be aware of recruitment fraud. The entire stage of this selection process is free of charge. PT PPA Kapital - Fresh Graduate Investment Analyst PPA Persero Group January 2017 will never ask for fees or upfront payments for any purposes during the recruitment process such as transportation and accommodation.